Changing the official address of your business is not an easy task to begin with. Take note that you are uprooting your workplace or business from one place to another. It means you are going to empty your former office or space of operations and relocate them to your new location. This demands a significant amount of time and energy in order to push through. Licenses and Permits. There are legal and regulatory steps that are involved in moving a business. You need an interstate removalist for all carrying, packing, lifting, and transporting. However, you need to prioritize some things first, particularly the legal implications of relocating a business. Even for home-based businesses, permits are still necessary and required. You can research about business licenses and permits as well as the local zoning laws for a legit business move. Re-register your Business. The interstate removalist service is a necessity for huge corporate moves. You also need to re-register your company especially if it is another state you are moving to. DBA declaration is important for sole proprietorship and partnership businesses. For corporations or LLCs, there are more complex legal steps to legitimately move the company. In line with the need for a legitimate business move, make sure you hire a trusted and experienced legal expert. This is one of the most important helps you need to secure aside from interstate removalist services. There are commercial lawyers that specialise in real estate and corporate or business permits and licenses. This will ensure that your move is made with legal compliance. It is also important that the assets of your company are appropriately insured. Prior to signing on the dotted lines of your new office lease, make sure that the business interest is well protected. A corporate move is a huge one. It absolutely requires the help of a professional interstate removalist for a comprehensive move. It is generally recommended to start your planning and preparation from 9 to 18 months before your scheduled moving date. Take note that failure to prepare is equals to preparing for failure. Corporate moves are definitely huge ventures thus you need the time to organise. Take a look at some of the things you need to include in your planning from several months to weeks and days before moving your business. It will absolutely take a village in order to go through the business move as smoothly as possible. On top of hiring an interstate removalist company, you must also gather your entire team together in order to plan and facilitate the move. You can hire professional help or your team could take care of the packing process. Consider investing on packing cartons and materials that interstate removalists could provide if you opted to do the packing on your own. You can request for assistance in order to get organized and ready for your upcoming relocation. Why is it more preferable to get your packing materials from removals companies? There is no price or value for your peace of mind because you know that your stuffs are carefully packed and protected. Purpose-designed cartons and boxes from professional removalists are specialised and made exactly for long distance moves. Whether it is residential or corporate move, relocation is never a DIY activity to begin with. Moving your office or business to a new state is a laborious and complex task. Only certified and licensed interstate removalist service providers could offer the assistance you need. These movers make sure that the move goes smoothly and according to plan. They also ensure that the move encounters no or minimal disruption. Licensed and Insured. Choose a company that is licensed to operate in the moving business. There are numerous removalist interstate companies available from Sydney to Melbourne to Brisbane. You need to see proof of certification for the business. Moreover, they should also comply with the insurance requirement for interstate removalist companies. Years in Business. The company must have years of providing top notch moving solutions especially for corporate relocations. Movers that have stayed in business for years also have the expertise and experience in their field. There are new interstate removalist companies today. However, choosing a veteran in the moving industry gives you 100% peace of mind and assurance that they know exactly how to move your business or office with ease and safety. Flexible and Comprehensive Services. Different removalists are available when moving from Sydney to Canberra and other locations in Australia. Look for a company that provides different moving solutions for unique preferences and needs. Reputable interstate removalist companies may also customize their services in order to cater to your corporate move. Competitive Service Rates. One of the most important things to consider when choosing an interstate removalist company is their pricing. Different companies offer their own rates and deals that offer business and corporate moves. It helps to compare the varied rates and choose the ones that suit your available or allocated budget. It is important to strike a balance between quality and affordability in a moving service. Backloading. Backloading services from interstate removalists offer cheaper transportation of a few items to your entire household furniture. However, there are companies that do not guarantee delivery and uplift dates. That’s because your goods are placed onto one truck which carries other booked backloads. The space that your goods occupy is the only one that you pay. You are not basically paying for the booking of the whole trailer because you require just a small portion of the truck space. Investing on Quality Moving Boxes. Successful and proper packing of your goods significantly reduce loss and risk of damage. 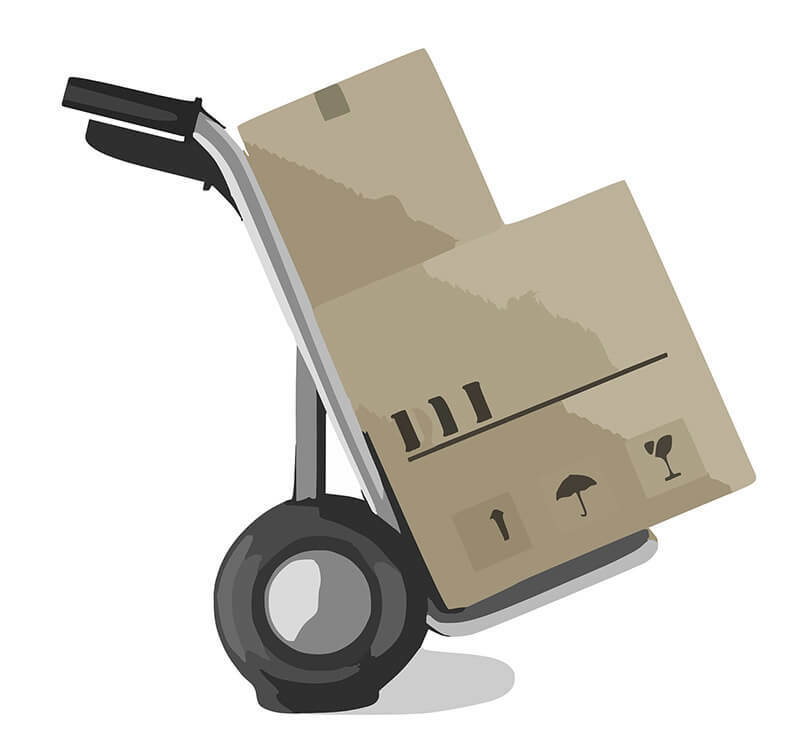 If you prefer to do the packing yourself, make sure that your moving boxes are industry-grade materials. There are other options such as renting moving boxes. However, interstate removalists highly suggest buying moving boxes instead of hiring them. You can find used or second hand boxes and cardboard moving boxes such as linen and picture boxes. Other materials include bubble wraps in flexible sizes, tapes and tape dispensers, butcher’s paper, and lounge and mattress covers. Standard chest cartons are much bigger compared to wine and book cartons. You can talk to your preferred interstate removalists about their rates. Use sturdy and resilient moving boxes instead of the ones that are not made for free stacking. These materials would come in handy in various occasions and activities, not just moving. Furniture storage is one of the top options you can choose when relocating your business. There are warehouse facilities available from interstate removalist companies. Putting your non-perishable stocks or office equipment and supplies in storage units could be temporary or for an extended period of time. This option is applicable for companies or businesses that have a number of vehicles to transport to the new location. Today’s interstate removalist companies offer car transport solutions to make your move easier and hassle-free. There are different vehicle transporters and carriers to choose from which could accommodate luxury vehicles and motorcycles. Individual Car Transport. The car transport solution could be domestic or interstate. Look for interstate removalists that provide individual or family vehicle transport to different locations in Australia. Moving your vehicle is a huge and challenging task. Without the right trailer and equipment, you might risk damaging, scratching, or denting your car. Removalists have the training and facilities to do this. Car transport is after all not a DIY task to begin with so hire the pros. Corporate Car Transport. Moving your business or corporate vehicles need an extensive fleet of car transporters and carriers. The good news is that there are interstate removalists with this type of heavy duty removalist solutions. You can consult with removalists interstate and access the services you need based on your budget and time frame. Auto conveyance specialized carriers include tray trucks, trailers, and transporters with side curtains and other accessories. A checklist is definitely a helpful and practical guide for a corporate or business relocation. If you don’t want to get bothered, then the wisest decision is to hire an interstate removalist company. There are various variables you can include in your checklist which you could categorise and organise according to the phase of the move. It is important to consult with a commercial removals expert in order to create a comprehensive checklist. Work through the checklist bit by bit throughout the moving process. Your team should be up to speed in order to facilitate the move with the help of a professional interstate removalist expert. Communicate with everyone that is given a designated task for the move in a regular and clear basis. Your team should be on the same page. Coordination is crucial if you want the moving process to push through smoothly and worry-free. You may probably forget vital stuffs or items in the office. Lack of guide could bring confusion to your team especially in terms of their designated tasks and obligations. Your business move becomes increasingly stressful and tiresome as the days go by. Inaccurate details about the move could result to unsound and impractical decisions. For instance, you may not determine how much office space you need. The assistance of reputable and trusted interstate removalist company could help avoid some of the usual mistakes or risks of moving a business to another state. A smooth and hassle-free office move becomes successful when you have the right assistants to help you out. There are office moving mistakes that you could avoid with the help of professional removalists and stay on top of the entire process. Loss of Operational Profit. Hiring an interstate removalist service provider helps avoid operational profit loss. Relocating the business or office during business hours or work hours take a significant amount of time that should be dedicated to operations. This affects the productivity and profit of the company. Professional removalists take the tedious tasks of moving your business so that your operation is not heavily affected. Risk of Equipment Damage. Most workplace or business equipment pieces are not insured. Thus, without the help of an interstate removalist company, these uninsured items are most likely to get damaged. Employee-driven relocations thus become quite expensive and could even put untrained movers at risk. It is undoubtedly better to hire the services of an interstate removalist company than to potentially damage costly equipment and other office supplies and furniture. Professional movers have the proper carriers and transporters to take care of your office or business equipment. There are also storage facilities for items that need to be stored for safekeeping or stocking. Dangers of Moving for Uninsured Employees. There will always be risks when moving an office or business. You can organise your employees or team to facilitate the move. However, make sure that you only handle minimal tasks. Leave the heavy lifting and carrying of bulky equipment in the hands of trained and professional interstate removalist specialists. They are insured and have the right knowledge, skill, and tools to do the job. Business and office moving is a start of a new chapter that is expected to improve your productivity, sales, and revenues. Relocation, however, is a laborious and challenging venture unless you have the help from a reliable and efficient interstate removalist company. The good news is that there are various movers available for moving from Sydney to Brisbane to Melbourne and any other states and cities. Hire the best service provider and see the difference that licensed and insured interstate removalist companies can offer compared to DIY office moves. There are different types of removalist solutions for varied moving needs and preferences. All you need is contact your preferred removals interstate service provider for a huge corporate move.